Driving Motor Brake Second 52005 was purchased in 2000 from the Swindon and Cricklade Railway, together with 52025. Both vehicles saw use as Sandite vehicles in the twilight of their operational career. Some initial restoration work was undertaken whilst they were at the Swindon, however both required a full cosmetic overhaul. 52005 moved to Bolton Abbey during 2001, where extensive work was undertaken, concentrating on restoring the interior, as well as giving it a full repaint. 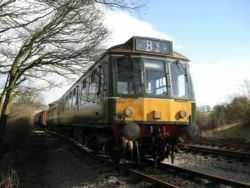 This vehicle worked for 10 years on the Embsay and Bolton Abbey Railway, but is currently located on the Nene Valley Railway.